A proper floor maintenance program is absolutely essential to providing professional cleaning services and extending the useful life of your floors. 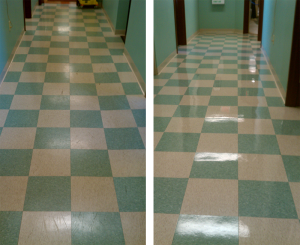 We offer free consultations on floor care and can provide floor care services as part of our office cleaning program or as a one time service. Oftentimes old tile floor that you may think needs replaced can come back to life and look brand new with a simple strip and re-finish or steam clean! This will save you considerable replacement cost and improves the appearance of your building. Our range of services for hard floor care include the following. Please click on each link for further descriptions and demonstration videos. 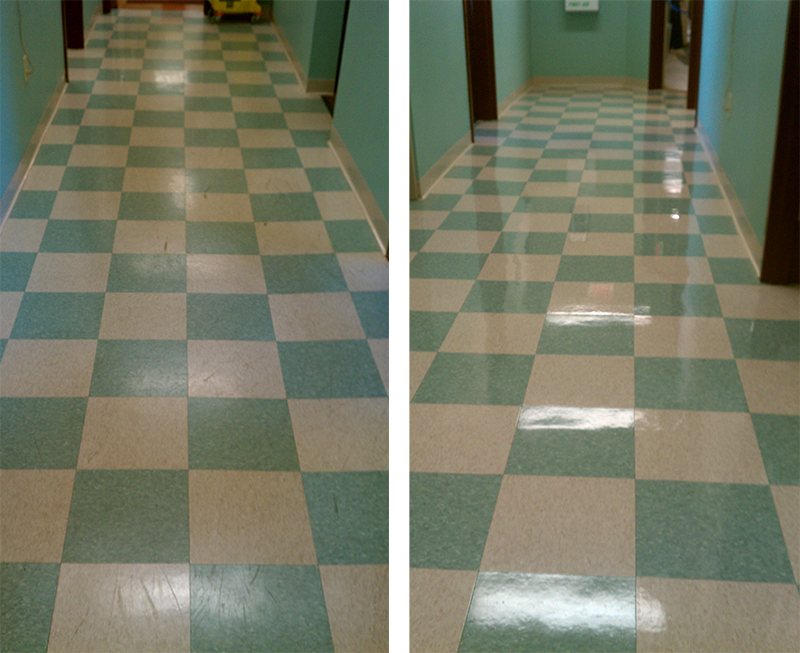 Tile floor stripping & re-finishing to remove old floor wax restore a smooth, glossy shine. Scrubbing & polishing to remove stubborn scuff marks, repair light scratches, or restore a glossy shine. Tile and grout cleaning to remove deeply imbedded dirt and tile and grout through steam clean methods.